Extracted from the nut of the coconut palm, coconut oil has been used for thousands of years in tropical cultures across the globe. Today, it serves not only as a cooking ingredient but as a medicinal tool, a moisturizer and a cosmetics base. Unlike most plant oils, coconut oil has a fatty-acid composition that is resistant to spoilage. However, it will still spoil eventually. Coconut oil is made mostly of saturated fat in the form of medium-chain fatty acids, according to the Coconut Research Center. These fatty acids are shorter in length than the saturated fats found in meat and dairy, but, as with all saturated fats, they lack any double-carbon bonds. By contrast, most other plant oils, such as soybean and corn oils, are high in polyunsaturated fatty acids, which contain multiple double bonds in their chemical makeup. These unsaturated fats break down more quickly than saturated fats, leading to more rapid spoilage than coconut oil. Spoilage of cooking oils occurs when fatty acids oxidize and become rancid -- usually after exposure to air or light. 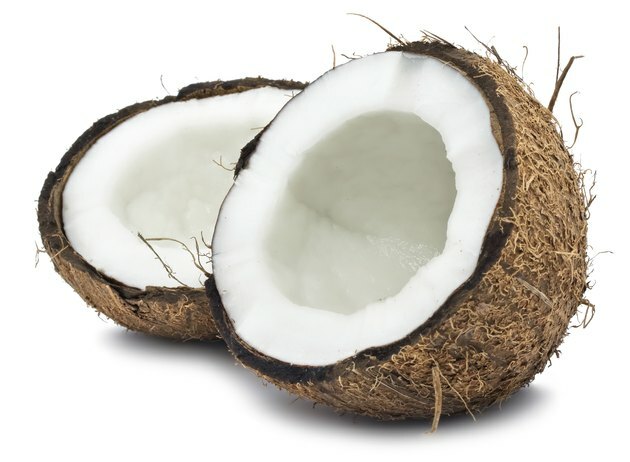 Because of its stable chemical structure, the saturated fat in coconut oil resists spoilage and can last much longer than most other plant oils before going bad. Coconut oil also has natural antibacterial properties that help reduce contamination from microbes. The shelf life of coconut oil varies depending on the brand and refining method. As Quality First International explains, refined, odorless coconut oil lasts approximately 18 months before showing signs of spoilage. Virgin coconut oil produced from a wet-milling process contains more antioxidants that help prevent spoilage; this type of coconut oil may last for several years without turning rancid. Because coconut oil does contain a small portion of unsaturated fats, it is not completely resistant to spoilage. Increase the shelf life of coconut oil by refrigerating or freezing it after opening and storing it in a dark place away from light. Avoid consuming coconut oil that smells off or oil that has changed color.